TUCSON, AZ—Saying that a tectonic shift in the landmasses’ relationship was the likeliest source, geologists at the University of Arizona told reporters Monday that the continents may have drifted apart after an emotional falling-out. 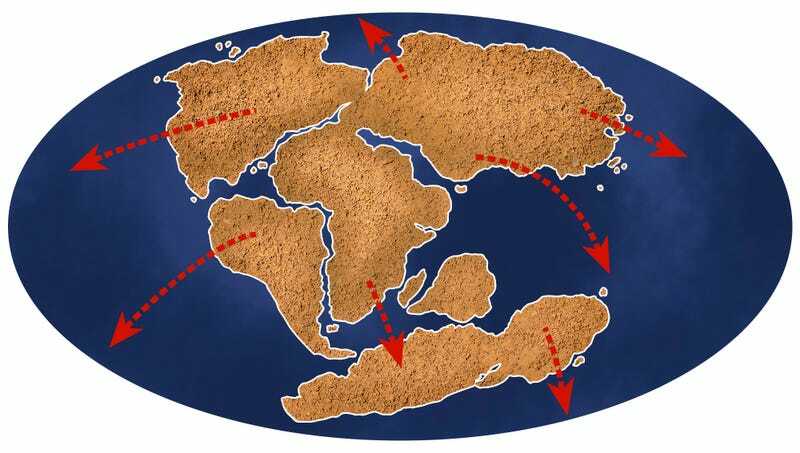 “It appears from the geologic record that the continents separated after an impassioned disagreement,” said Dr. David Sarlow, explaining that the rift probably began around 200 million years ago when massive portions of the Pangea supercontinent broke up and moved to different hemispheres. “Various internal pressures and friction continued to cause the continents to split further into the isolated landmasses we know today. They were practically inseparable for eons and, even now, you can tell how close they were in the past.” Sarlow went on to say, however, that the Isthmus of Panama still connecting North and South America may suggest at least a narrow hope of reconciliation.